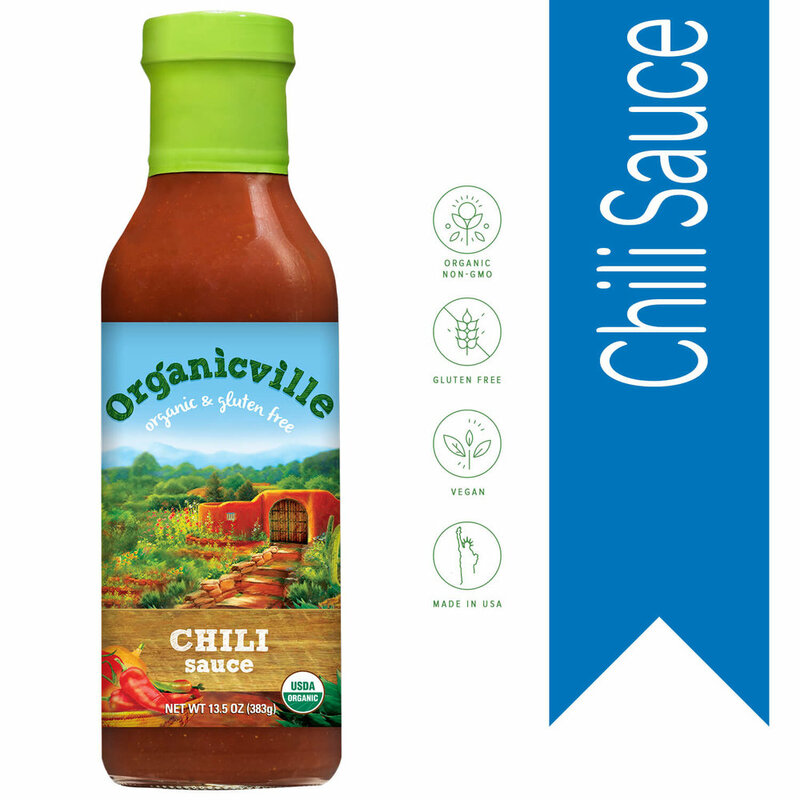 Organicville's original BBQ sauce will add flavor and excitement to your favorite summer BBQ dishes. Use as a sauce or as a marinade on meats, fish, vegetables and tofu. Our Organicville Tangy BBQ sauce adds a peppery spice and daring flavor to burgers, veggies and side dishes. Our tangy sauce is also organic and sweetened using agave nectar for a more natural and superior taste. Made with the highest quality tamari sauce, pure pineapple juice, fresh ginger, garlic and sesame seeds, Organicville's Island Teriyaki sauce is amazing as a marinade for meat and fish. Naturally it is organic and it's tangy, flavorful ingredients will add an instant boost to your meals.